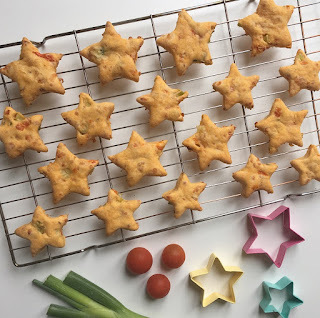 I first made these cheese & tomato bites back when Oliver (now 4) was weaning. Recently with Ella (12 months) I feel like I’ve been stuck in a lunch rut so I was scrolling back through my Instagram feed when I came across these cheese & tomato bites and knew I had to make them again. 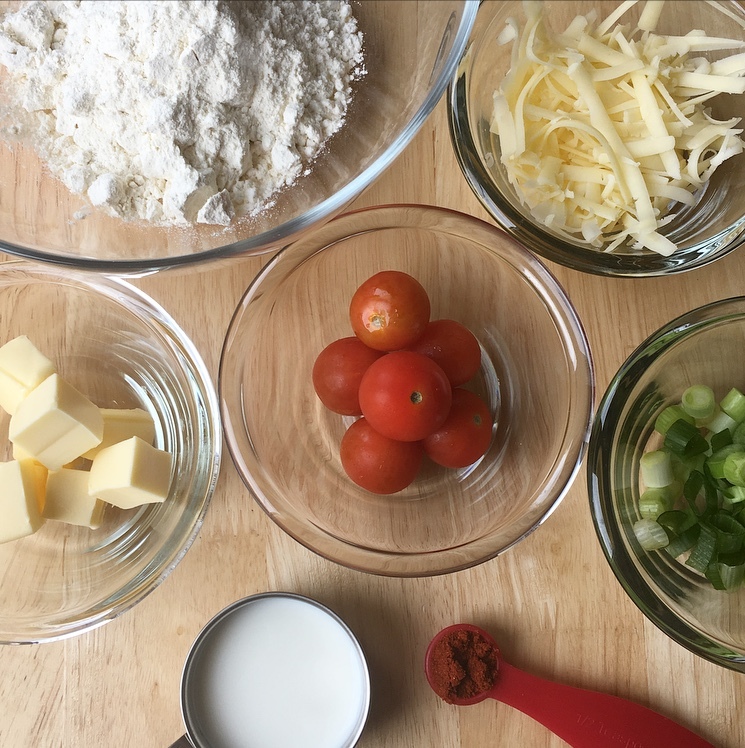 If you’ve followed me for a while you’ll know that I am a huge fan of easy recipes. As a busy mum, I don’t have time for overly complicated or timely recipes. These cheese & tomato bites contain only 7 ingredients and will be ready within half an hour, perfect to do while the baby is napping. They are perfect for baby led weaning, lunch boxes or snack time. Once baked, store in an airtight container or pop a batch in the freezer. Preheat the oven to 200/180 fan and line a baking tray with baking paper. Add the paprika to the flour and mix well. Rub in the butter with your fingers until the mixture looks like fine breadcrumbs. Next add the tomatoes, onions and cheese and mix well until the dough starts coming together. If it’s too dry add a small amount of milk. Knead the dough until it’s soft and not too sticky. If it’s too sticky add a small amount of flour. 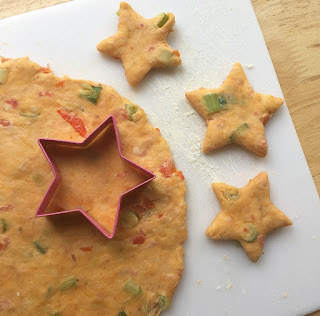 Roll out the dough on a floured surface and use cookie cutters to cut out shapes. If making for baby led weaning make them into long finger shapes. 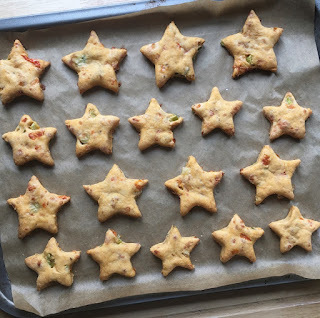 Place bites onto the baking tray and bake for around 10/15 minutes. Adapted from a bbc recipe. Can I use oinion instead of spring onion?